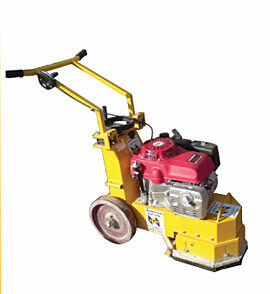 The floor grinder creates a smooth or clean concrete finish. It uses diamond disks with different grades for different affects. It is used to reduce concrete levels or expose concrete aggregate for polishing. The Grinder is used with a hoover or water depending on the job.